I’ve been often slightly red-faced and late to meeting appointments at work in the past. Not because I didn’t know that the meeting was on – but rather because I hadn’t kept track of the time. 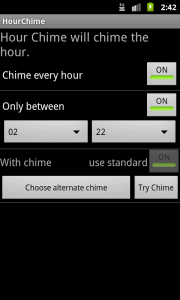 Hence my first Android app: HourChime. 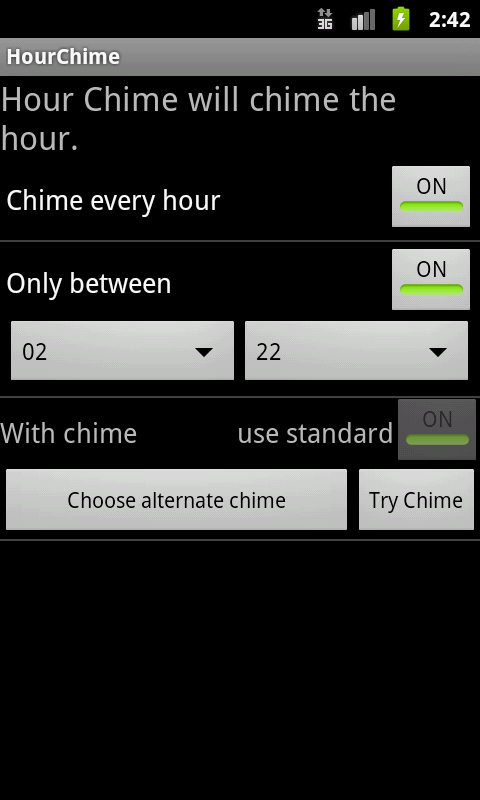 Couldn’t be simpler; it just chimes on the hour. So only took a few months… but now updated with Pebble watch support as well as a “run fast” feature to do just that Trav.